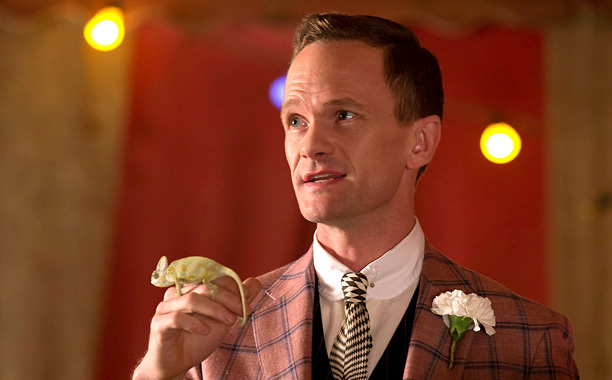 After a wee break, AHS:Freakshow is back with an episode titled "Magical Thinking" AND it has a new character brought to us by Neil Patrick Harris?! Sounds pretty awesome. Well, settle down kiddies because this Freakshow was not necessarily worth the wait. Once again, it is the amazing Denis O'Hare who provided some of the best three minutes of the episode. After expertly convincing Jimmy to "donate" his hands in an effort to raise money for his defense, we are met with a Lobster Boy who has lost his claws. Amputation is a plot device that Mr. Murphy has been utilizing since Nip/Tuck and this has, unfortunately, left this viewer completely underwhelmed and apathetic towards Jimmy's plight. It seems as though no one else is very concerned about this either, though. Jimmy Darling went from the most popular guy at the Freakshow to dude who is in jail and missing appendages. Seriously, the lack of action over Jimmy's situation is perplexing. Sure, Dell and Eve hatch the most complex plan in the history of ever to free Jimmy, but it's way too late for any of us to have feelings for Dell, so this just feels tacked on, nonsensical and unnecessary. Just when I was wondering where my boyfriend is, Dandy comes in like a pimp with that fur coat taunting Chester with his knowledge of his dirty deeds. In a rather cunning use of suggestion, Dandy convinces Chester that Marjorie is going to run away and tell everyone what really happened; Chester bludgeoned his wife and her lover and he's been on the run ever since. The only way that his secret will be kept safe is if he meets Marjorie's demand. SAW THE TWINS IN HALF! Cue ominous music. Let's see..... what else? There seems to be an overwhelming consistency when it comes to AHS and how different viewers embrace the seasons. If you loved Murder House, chances are you also enjoyed Coven. 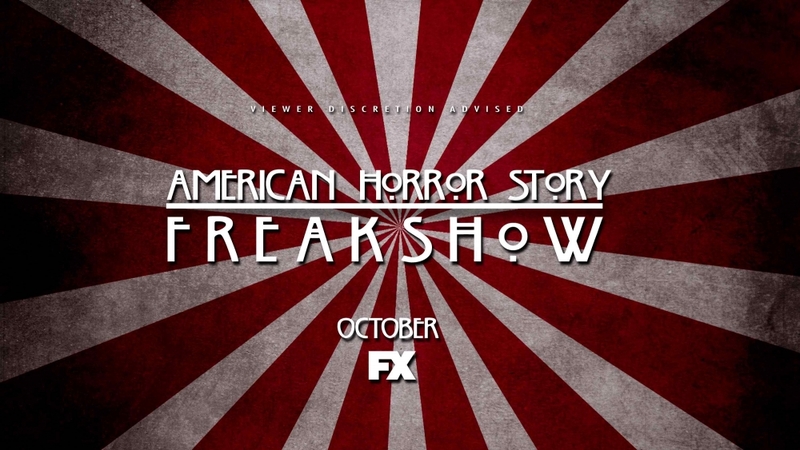 On the other side of that, Asylum lovers are really digging Freakshow. So, what does that mean for season 5? Will all of us be brought together in a sickeningly happy AHS family or will everything, and I mean everything, be thrown into the season and it will ultimately cause the demise of AHS? Do we really believe that all of this was planned out from the very beginning or are they just throwing stuff in, no matter how crazy, in an attempt to bring all of the seasons together? T.V. Babies, what are your thoughts on how this season will end? Also, what are your theories about season 5? Article first published at horrorhoneys.com. Lisa writes as the TV Honey.